Areyvut representatives work closely with community leaders and community service organizations to create and facilitate Chesed Fairs in order to engage children and teenagers throughout the United States in community service projects and volunteerism. Each Chesed Fair is tailor-made to match the needs of each community. Teenagers have the chance to learn about ongoing and one-time volunteer opportunities as well as fundraising. Younger students also have the chance to engage in hands-on service projects. Students who attend a Hands-on Chesed Fair have the opportunity to create projects that benefit individuals in their community. 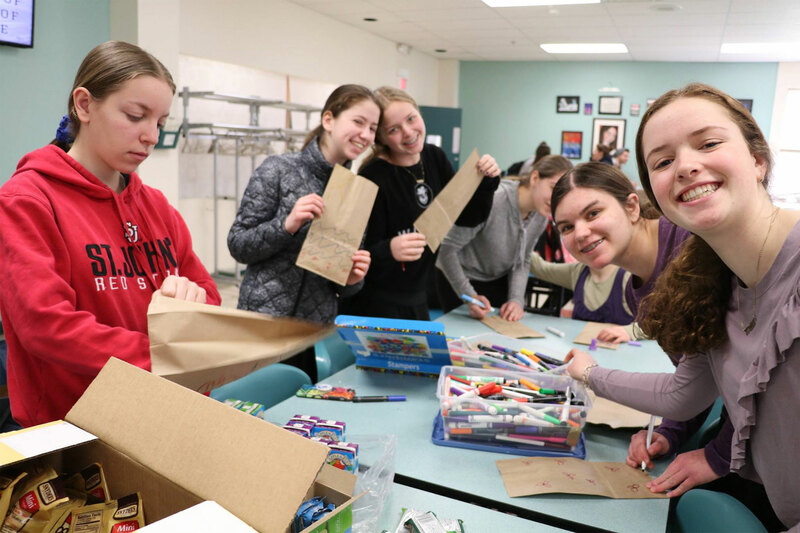 From writing letters to American soldiers serving overseas, to creating tissue paper flowers for nursing home residents, to decorating hats for children who are ill, an engaging and fulfilling time is always had by all. If you would like to bring an Areyvut Chesed Fair to your school, synagogue or community center, please contact Daniel Rothner at (201) 244-6702 or daniel@areyvut.org.